Tuesday - Thursday: 5:30pm - 9:30pm, Friday: 5:30pm - 10:00pm, Saturday: 5:00pm - 10:00pm, Available for special events on Sunday and Monday. Free parking after 6pm at Mechanics Bank on the corner of San Pablo Ave. and Washington Ave. Also free parking lot after 6pm behind the Albany Twin movie theatre on Kains Ave. before Solano Ave.
Feel free to Contact us about private events! 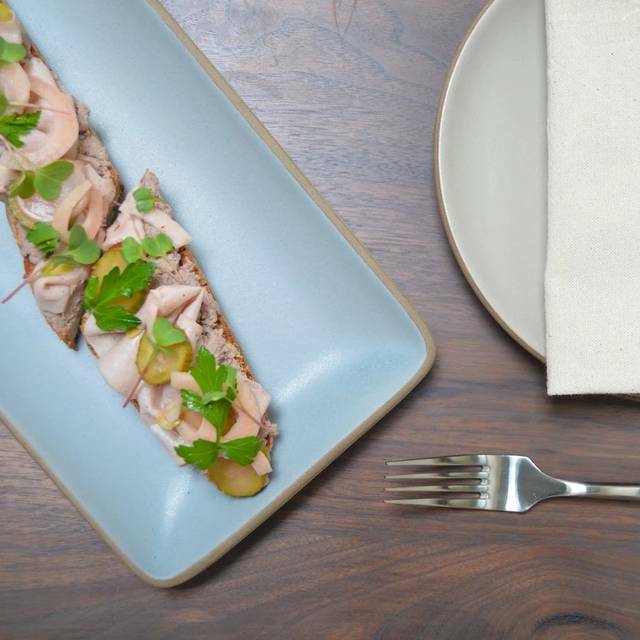 An intimate neighborhood restaurant, Juanita & Maude features Chef Scott Eastman's personal take on American Cuisine. The daily changing menu highlights classic dishes, handmade pastas, whole animal butchery, homemade bread, and decadent deserts. 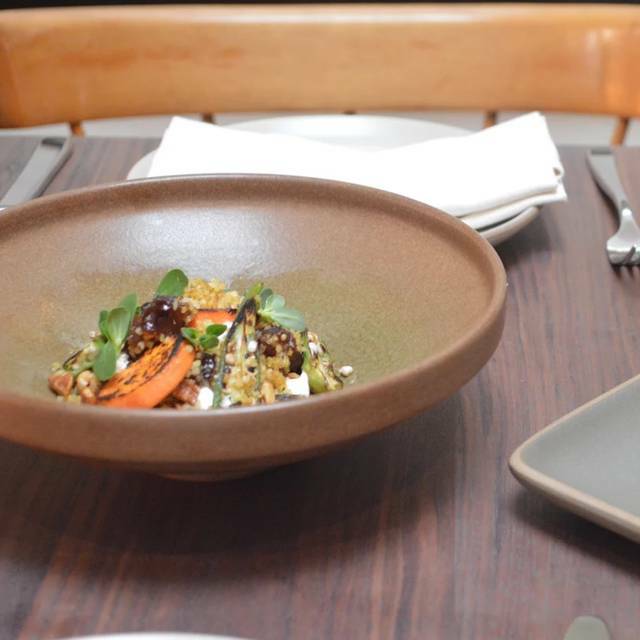 His refined comfort food is matched with seasonal craft cocktails and an international wine list. Juanita & Maude's cozy dining room and bar is the perfect spot for a night out, celebratory occasion and special private events. 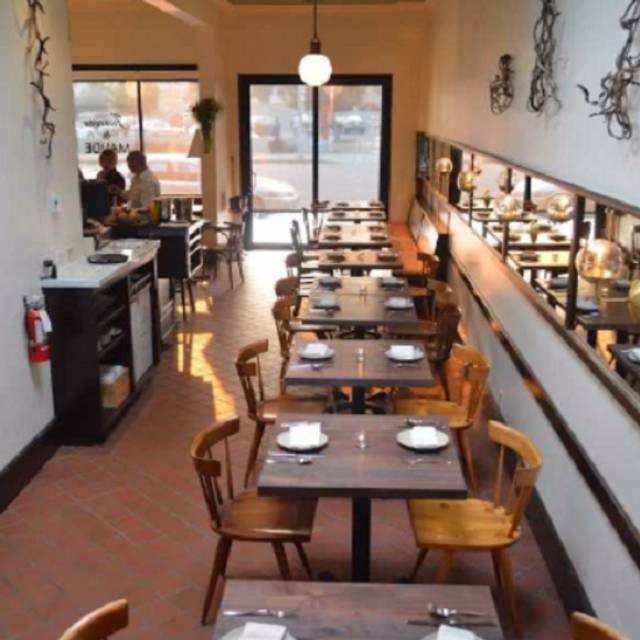 Conveniently located near the corner of Solano and San Pablo Avenues, Juanita & Maude is the perfect place to eat before a show at the Albany Twin, Ivy Room or simply seeking an exceptional experience. This place is exquisite! The service was attentive but not intrusive, the food was inventive and delicious, the wine and cocktails were very tasty! All in all - fantastic! The noise level was so high I would never go back there! Juanita and Maude is neighborhood gem! Great cocktails and a revolving menu that’s always delicious. The servers and host are super friendly and the entire dining experience is always great! It was a perfect first date! The food was delicious, the drinks were perfect, the wine pairings perfectly complementing, and the service attentive but casual and accommodating. Every course had delightful standouts and dessert, with its perfectly paired wines, was the ideal sendoff. I loved it so much I went back the next night! amazingly wonderful food, service, ambience. We went there twice in three weeks. Second time menu was completely changed and as good as the first time, which was sensational. I had the crepe & it was just fabulous. Others had the burgers & brick chicken and all were great. I thought the wine list offered a nice variety at different price ranges so something for everyone. I would certainly go back as the menu changes often & can't wait to try other things. Delicious food, beautifully prepared and presented. Outstanding service. Highly recommended! Consistently fabulous. 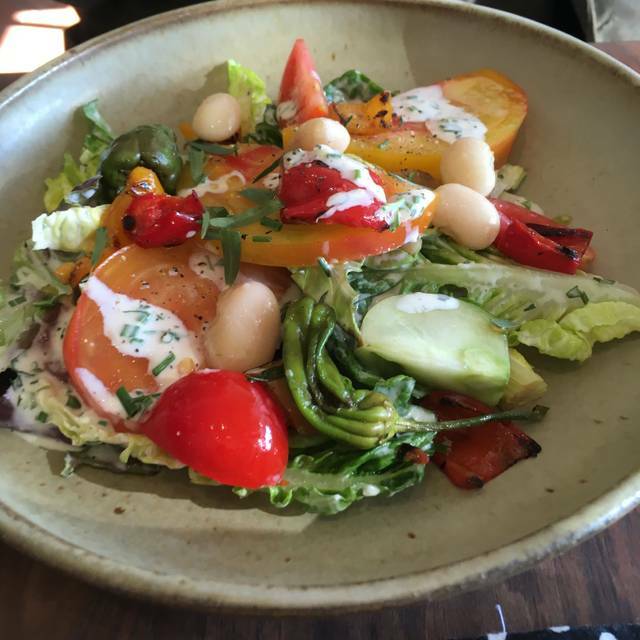 We can't get enough of this place which always has creative and delicious vegetarian options and never flinches about a dairy allergy. It can get a little noisy inside, so OpenTable mostly offering seats on the back patio is perfect. It's charming and has heaters. Wonderful, creative food & delicious. Front of the house staff are awesome from the first minute you enter. Will return many times over. It is always an amazing treat to go to Juanita and Maude! Menu changes weekly! Great service! Amazing food with very digoxin flavors! Do not miss this experience! I live in Oregon and visit my son who lives in Berkeley a few times a year. 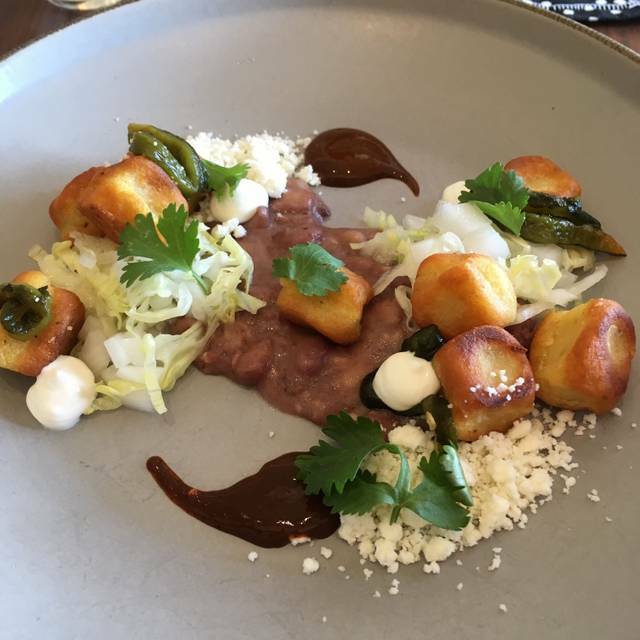 We make a point of dining at Juanita & Maude each time I visit and I am always excited to go. 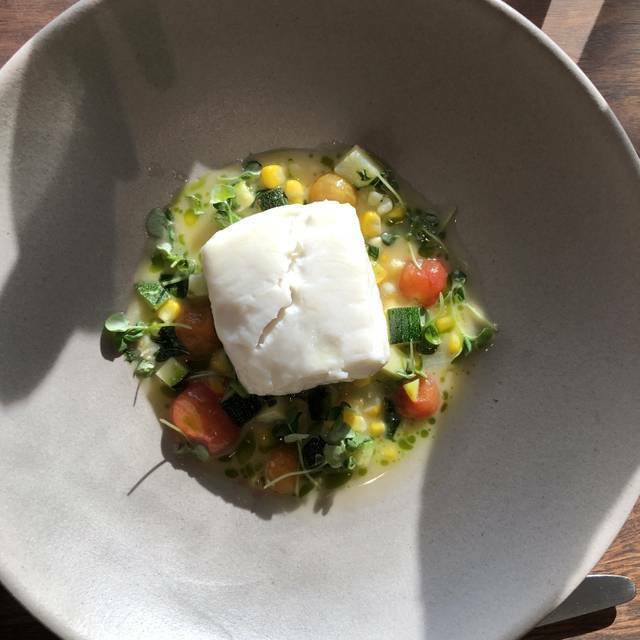 I love the whole experience - the ambience, the service, the wine list, and always the delicious and beautifully presented food. We dined on the patio for the first time and it was lovely. The noise level is not as much as inside and I could hear our conversation better. Can't wait to return! the best dinner ever. Oliver was great... table 35 is our first and our favorite. we will be back for my bday dinner soon! The food and service were excellent! I will definitely be back for more! eclectic, tasty menu. Superb service. Wonderful evening. Great new find. Loved the food and excellent service! We had an early (6 pm) dinner at Juanita and Maude's the last Friday in March 2019. Overall, we enjoyed it very much as it is a cozy, neighborhood kind of place and had a pleasant, if noisy, vibe to it. The service was excellent; the wait staff was attentive, informative and very pleasant. For example, although the restaurant does not pour Chardonnay by the glass, the restaurant had apparently opened a bottle for another guest so our wait person offered us a glass as well. (Regrettably, the Chardonnay was not particularly good.) The menu had offered gumbo but had run out (by 6?) so I had the pork tenderloin on "dirty rice" which was good (pork could have been cooked a bit more for my taste). My wife had the chicken which was rather salty. We had the churros for dessert which were excellent. Oddly, the restaurant did not have coffee (only espresso). If looking for a creative take on food (that you wouldn't create yourself in your kitchen) this place is for you. A fusion of many cuisines, using fresh and tasty ingredients. Some experiments worked; others were too *off* to be trully delicious. Portions are on the small side (don't come after a 10 mile run). Prices are higher than I like to pay. Ambience is fun, cozy, friendly but a bit off--striving to be polished but lacking that last 5% in detailed knowledgeable attention. Excellent food, service, and cocktails! I hesitate to say too much, it’s already difficult to get a reservation! If you're hungry, be prepared to spend a fair amount of money. Dishes are very moderately sized; our milennial was not sated by his choices. We opted for the olive appetizer along with the bread and rosemary butter (4 slices, $5). We skpped the seconds as on this particular evening none of the options appealed. For entrees, we had one filet mignon, one gumbo, and one mushroon/cheese crepe. The filet was delicious per said milennial, but when asked if he enjoyed the potato rosti, he responded "yes, all 2 of them". Our server was gracious in substituting the vegetable for him to something he liked better than asparagus (silly boy). The gumbo was not the typical rustic gumbo one gets in New Orleans, it was definitely a "foodie" version. The prawns were cooked perfectly, the sausage was a bit dry, the cook on the included okra and merliton squash was fine. The rice was an arborio style rice, not long grain. It could have been a bit spicier for my tastes. The crepe got rave reviews. We shared one dessert, a lemon tart, which was amazingly light and beautifully decorated. This could have benefitted from a bit more citrus flavor but really was quite good. Overall for 3 people, with drinks, it was $200. Would we do it again....maybe, but all the options on the daily menu would have to be more aligned to our tastes. Given that reservations must be cancelled 40 hours ahead or one pays $35 per person if you cancel or fail to show (credit card required to reserve), it makes it a big of a risky proposition. I think we'd try a walk-in instead. 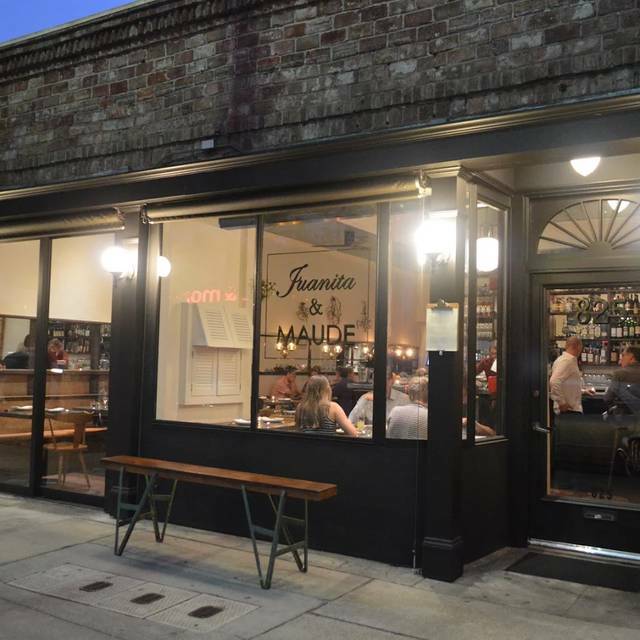 Juanita and Maude is the place for friends, family, date night—whatever. The food is fab, the cocktails spot-on. We love this neighborhood gem. Always a great time. Delicious food and wonderful service. Each time we have eaten at Juanita and Maude’s, half the table has a excellent meal while the other half has a mediocre meal. The tables are close and so the noise level is elevated. Don’t sit next to the door or you will get your chair bumped by those waiting. Our wait person was wonderful. She was relatively new, but, was warm and informed. Maitre d is always the best. Wonderful restaurant. Detail and attention to food, decor, cocktails, service. My only complaint is that while service is caring and attentive, when they are busy it all slows a little. If you can stay for a while, don't miss dessert! The appetizers and firsts were incredible. The mains were pretty good, but not nearly as flavorful as our initial course. Sitting outside on the patio was very nice - I would sit outside again if I went back. Most definitely going back to this restaurant!!! Casual restaurant with amazing food. I've going there for over a year now. Absolutely the best restaurant in the East Bay. Da Scene: Celebrating the anniversary of my niece from New York, we pick a destination spot that's still neighborhood. 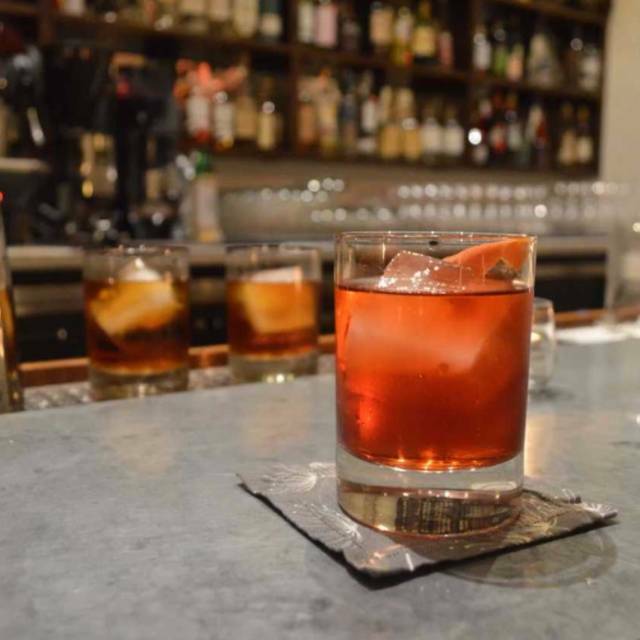 It's not the Lower East Side, but Albany has a PULSE. It's a weekday dinner and they are busy. Welcoming and cozy, you get that you're in for a good night. Da Grub: We did just about all the appz while sampling their house cocktails. Barkeeps KNOW what they're doin - we had a Brazilian with us that wanted a Caipirinha and they happily obliged. We didn't get the heavy sigh or condescending look you might receive at other hipster spots just because your drink order didn't give them a chance to use 12 ingredients and a special eye drop of bitters imported from Norway. Manhattan was spot on. Mains of Beef Wellington, Gumbo and Raviolo were good, damn good... but the Hamachi crudo, cream of mushroom and Orrechiette were exceptional, at home in Napa. Da Service: Very professional and knowledgeable, great wine suggestions but missed the description on a couple of dishes when dropped off. Other than that, things were staged and taken without issue or asking, I like that. Service timing makes the difference in an exceptional dining experience. We'll be back, deserves another look! A super find in a neighborhood spot that really caught us off guard. A class operation that would feel at home in Noe Valley or Grand Avenue, right here in Albany... lucky to have you! One of the best meals I have had in a long time! Will definitely be back and have already recommended the experience to others! Outstanding food preparation and choices. Great service. What a local gem! 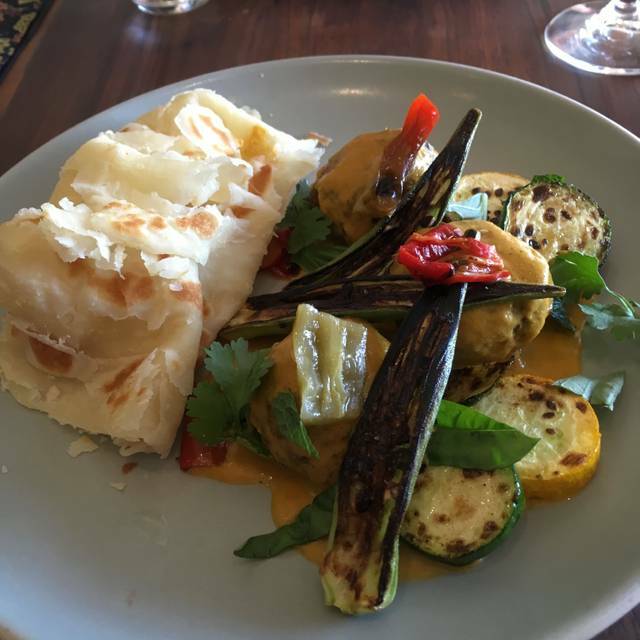 Our food and wine was delicious, they are accommodating, and service was friendly. A great spot for a special occasion. Service was outstanding!! The food was delectable. I would highly recommend this restaurant to everyone. Outstanding as always. We were a little wary about the outdoor table in this cold (and wet!) weather, but their outdoor area has an overhang and heaters and we were perfectly comfortable. A delight as always. I have already recommended this place to several friends. The chef(s) is brilliant. Super flavorful food. I ended up ordering more dinner after first dinner and dessert was finished. Ravioli was incredible. So were the perogis, the chocolate dessert and the dessert with the word "honey" in it whose name is alluding me at the moment. Fantastic food, people and ambiance! The J&M team always make us feel welcome. Every visit is a fresh experience as Chef refreshes the menu regularly to highlight the best ingredients available. The cocktails and wines are delicious. Don’t forget to save room for dessert! Pro tip, if ‘millet’ is on the menu order it.